So this was an interesting technology fashion statement. 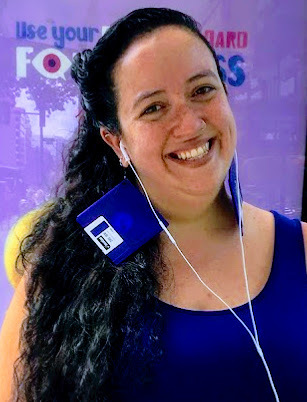 This lady in Washington, D.C. has earrings that are floppy disks. One full diskette on each ear! I guess not only can she wear them, but she can plug them into her computer at work and save or transfer files (that is if you can still find a computer that actually uses these). It makes you think though, from a cybersecurity perspective, what other devices can people “wear” to work and use for good or malicious purposes. Another scary thought came to mind, how suicide/homicide bombers strap vests with explosives to their bodies too–do terrorists also adhere to a certain “style” even for murdering people? This entry was posted in Circumvention, Clothing, Cybersecurity, Deception, Duplicity, Earrings, Fashion, Floppy Disks, Homeland Security, Masking, National Security, Photo, Profiling, Spycraft, Style, Terrorism, Tricks, Uncategorized, Washington D.C.. Bookmark the permalink.